Home / Blog / Gluten Free Banana Cake – Heavenly Recipe! For so many years I hated bananas. Detested them even. I really never thought I’d be able to eat them—to me they were the equivalent of kryptonite to superman. Amongst the disgust, I did have one exception to the no banana rule… banana cake. I don’t know whether it was the fact that is was cake (i mean, that alone is reason enough to love it, right?) or that the bananas were cooked, but I didn’t mind the taste of the bananas at all. 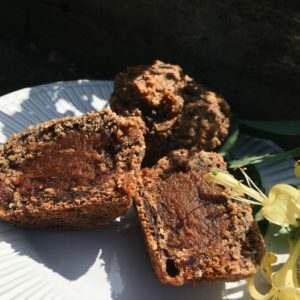 The combination of vanilla, banana and butter always left me drooling, so I wanted to recreate that taste and texture in a way that was vegan, gluten free and refined sugar free. 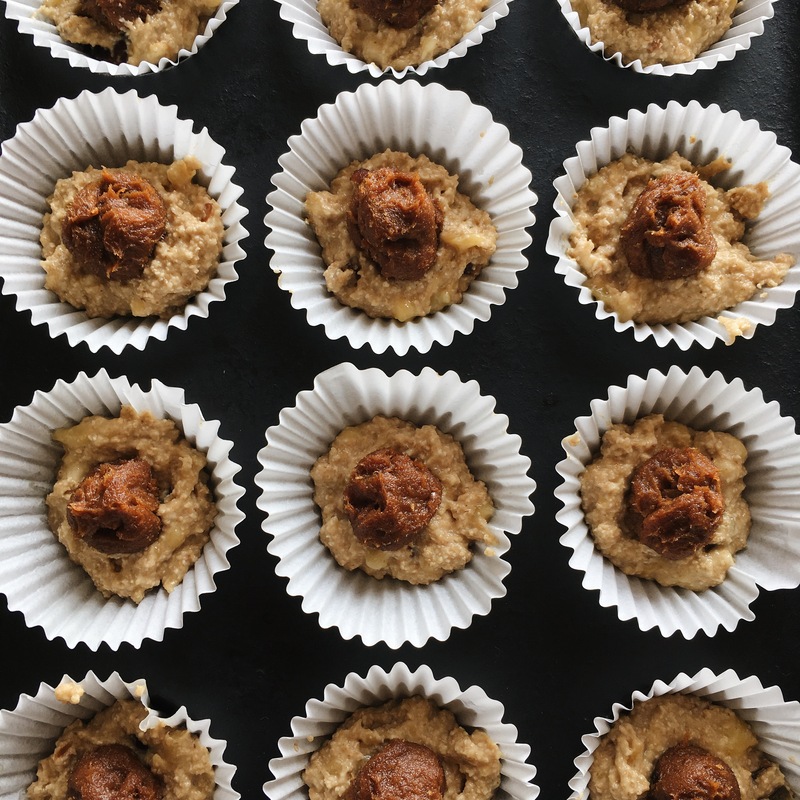 This recipe has become a family favourite—my mum seriously cannot get enough of the gooey caramel centre and the lumps of “toffee” throughout the muffins. 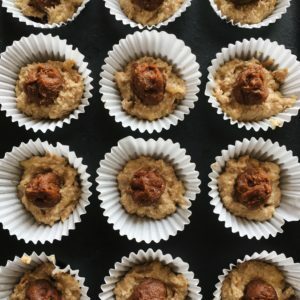 Oats and dates are two of my favourite ingredients and I’m so happy to be able to incorporate them in this recipe. Oat flour is a new love of mine—it’s such a versatile replacement for other flours and is incredibly cheap. Oats can be found just about anywhere so it’s definitely a winner. Lots of recipes in the health food world call for medjool dates which can be very pricey and hard to get hold of. I discovered that just soaking dried dates in recently boiled water for about 5-10 minutes makes them really gooey and so easy to work with. It’s incredibly easy to adapt this recipe to make a loaf or cake; instead of spooning the caramel mixture into the muffins before cooking, spread it as an icing on top of the loaf/cake once it has cooled after cooking. if you don’t have any oat flour, simply blend 300g of oats in a food process until a fine flour forms. Soak the dates in recently boiled water for about 10 minutes to soften. To make the muffin mixture peel and mash the bananas in a bowl until almost completely smooth. Next, add in the date/maple syrup and the vanilla and give it a stir. Take a handful of the soaked dates and chop them into small pieces. Add these to the banana mix. Then add the oat flour and bicarbonate of soda and mix it all until everything is well combined. Set aside whilst you make the date caramel. For this, drain the remaining dates and add them to the food processor. Blend until completely smooth—you may have to add a bit of water to help them to blend. Line your muffin tray with 12 muffin cases. Spoon about a tablespoon of the mixture into each one, just to line the bottom of the cases, not to fill. Next, take a teaspoon of the date caramel and place it into the middle of each muffin. You can add more of less of this depending on your preference, just make sure you can still cover it with the remaining muffin mixture. Spoon the rest of the muffin mix onto the top of the caramel of each muffin, being careful to completely cover the caramel around the sides. When I do this, the cases are generally completely full by the time the mix has run out and this seems to make the best muffin! 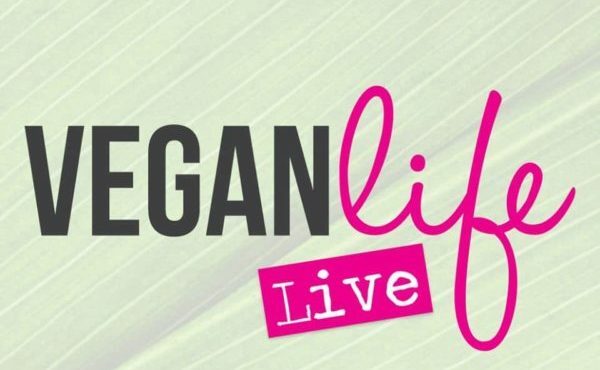 I’m Jess, a lover of all things dystopian and a self confessed health foodie. My blog, Delve into Dystopia, is my attempt to find harmony and balance in dystopian books and everyday life. To me, the idea of dystopia is about trying to live your life as ethically as possible, to eat and live healthily and find balance mentally and physically to prevent living in your own dystopia.